CarGurus has 51,542 nationwide Edge listings starting at $2,900. The Ford Edge crossover vehicle receives a new fuel-efficient EcoBoost engine for 2012, as well as a number of new standard and optional features across the trim lineup, including the SYNC communications system, which now comes standard in all Edge trims except the entry-level SE. Some reviewers still find fault with the Edge's lack of an available third-row seat, and a number of owners find the SYNC, MyTouch and navigation systems buggy and tricky to operate. Ford seems to be moving in the right direction with the 2012 Edge. By extending some of its most popular features, such as the SYNC communications system, to all Edge trims, and smartly introducing its fuel-efficient EcoBoost engine, the automaker is delivering what buyers want. However, some owners report quality control problems with the recently redesigned Edge, so prospective buyers should pay close attention during test drives for any potential problems. Following the Edge's design refresh in 2011, Ford makes its capable two-row family hauler even better for 2012 by adding a new optional fuel-efficient engine, which pushes fuel economy numbers up to 30 mpg. In addition, the 2012 Edge comes equipped with a number of new optional and standard features, including a 10-way power-adjustable driver's seat, a rear spoiler, available 18-inch low-rolling-resistance tires and LED turn signal indicators. In addition, Ford makes its SYNC communications and entertainment system standard on the mid-level SEL trim and optional on the entry-level SE trim, so the system is now either available or standard throughout the line. Edge trims for 2012 include the SE, SEL, Sport and Limited. For the first time, Ford makes its all-wheel-drive system optional for the SE, so all trims are now available with either front-wheel or all-wheel drive. In addition, the Edge now comes with a choice of three engines, including the new EcoBoost. As in previous years, the Edge seats 5 passengers in two rows. Unlike some competitors, like the Chevy Traverse and the Toyota Highlander, Ford does not offer the Edge with an optional third-row seat. As part of the 2011 design update, Ford gave the Edge a less boxy, more fluid look, highlighted by the automaker's distinctive three-bar grille, which fronts the deep, slightly rounded snout. A sculpted hood, flared wheel wells, straight lines along the sides, a new rear spoiler and wraparound headlights and taillights add to the clean look and improve aerodynamics. When buyers opt for the available EcoBoost engine, Ford also adds a number of exterior enhancements to further improve aerodynamics and fuel efficiency, including side door rocker moldings and active grille shutters, which control airflow to the engine compartment. The Edge Sport also gets unique exterior styling that includes a black grille, color-keyed front and rear lower fascias, special rocker moldings and side cladding, and 4-inch chrome oval dual exhaust tips. U.S. News and World Report named the Ford Edge a "Best 2-Row Midsize SUV for the Money" and "Best 2-Row Midsize SUV for Families" for 2012. In addition, the IIHS tapped the Edge as a Top Safety Pick. A 3.5-liter V6 engine with twin independent variable cam timing (Ti-VCT) provides base power for the Edge SE, SEL and Limited trims. The V6, which rolls over from the previous year unchanged, generates 285 hp and 253 lb-ft of torque. All three trims, including the SE for the first time, now come standard with a 6-speed SelectShift automatic transmission, which allows drivers to shift manually by pressing a rocker button located on the shifter. The base V6 manages fuel economy numbers of 19/27 mpg for front-wheel-drive trims and 18/25 mpg for all-wheel-drive trims. Ford offers its new 2.0-liter 4-cylinder EcoBoost engine as an optional powerplant in SE, SEL and Limited front-wheel-drive trims. To ensure a potent combination of high performance and good fuel economy, Ford equips the compact 4-cylinder powerplant with twin turbochargers and direct injection, resulting in 240 hp and 270 lb-ft of torque. The engine delivers good low-end torque for acceleration and passing, according to testers, and the direct injector is specially tuned to reduce turbo lag while ensuring good fuel economy. The EcoBoost engine connects to the same 6-speed automatic with SelectShift and posts mileage numbers of 21/30 mpg. The Edge Sport gets its own 3.7-liter V6, also with Ti-VCT. The Sport's V6 pumps up the power to 305 hp and 280 lb-ft of torque, and links to the 6-speed automatic transmission with SelectShift. For sporty handling, Ford adds steering-wheel-mounted paddle shifters, which enable drivers to change gears manually using their fingertips. Fuel economy numbers for the sporty V6 check in at 19/26 mpg for front-wheel-drive trims and 17/23 for all-wheel-drive trims. The Edge's optional all-wheel-drive system intelligently predicts traction and works with the Edge's standard AdvanceTrack stability control system to redirect torque to the wheels with the most traction when it detects wheel slippage. The system can automatically shift torque side to side or front to back as needed, depending on road surfaces. When equipped with an optional Class II Trailer Tow Package, the Edge can tow up to 3,500 pounds. The package includes trailer sway control, which aids the driver in keeping control of the vehicle when towing. Owners can add the tow package to SEL and Limited trims. All three Edge engines deliver good performance in all types of driving situations. Despite being smaller in size than the V6s, the EcoBoost engine moves the Edge along quickly and smoothly, and most drivers won't notice the absence of two cylinders. 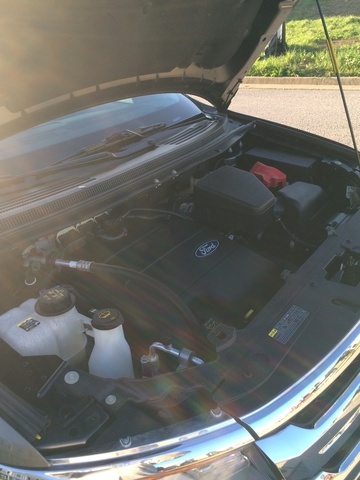 However, some reviewers do note that drivers who expect to do a lot of towing might want to consider a V6 powerplant, as opposed to the 4-cylinder EcoBoost. Alternatively, drivers who value fuel economy should definitely make the upgrade to the EcoBoost, reviewers say. Owners should note, however, that under independent testing it required the EcoBoost-equipped Edge nearly 9 seconds to accelerate from 0 to 60, or about 1.5 seconds longer than it takes the Edge when powered by the base V6. All Edge engines run on regular fuel and include Ford's Easy Fuel capless fuel filler, which automatically seals shut when the fuel nozzle is removed, eliminating the need for a traditional gas cap. 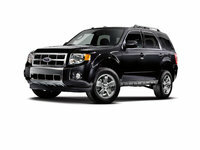 Overall, the 2012 Edge handles well on all types of road surfaces, with a comfortable, well-tuned ride. The steering is responsive with good feedback, and body lean is minimal in corners. While many reviewers note that the Edge's ride and handling are tuned more for everyday driving, the Edge Sport trim adds a unique sport-tuned suspension with slightly firmer spring rates and shocks for owners who seek a little bit more from their vehicles. The Edge sits on an independent front suspension with MacPherson struts and a stabilizer bar, and an independent multilink rear suspension with trailing blade control arms and a stabilizer bar. Gas-pressurized hydraulic front and rear shocks are also part of the suspension. The steering features a power rack-and-pinion setup, while antilock brakes are located at all four corners. In addition to its sport-tuned suspension, the Edge Sport comes equipped with big 22-inch polished aluminum wheels with black spoke accents, which obviously enhance the ride. However, some testers note that the big wheels also communicate more road imperfections into the cabin than the wheels on other trims. The SE comes with 17-inch aluminum wheels, while the SEL gets 18-inch painted aluminum wheels. Standard on the Limited are 18-inch chrome-clad wheels, which are also optional on the SEL. In addition, owners can opt for 20-inch wheels on both the SEL and Limited trims. Owners and testers say that the V6 engines can be noisy at times, especially when revving up during acceleration and when passing, but they quiet down at cruising speeds. Testers also note some wind noise intruding into the Edge's cabin when traveling at higher speeds. Several Edge trims receive feature upgrades for 2012. For instance, Ford's voice-activated SYNC communications system, which enables hands-free calling and information access, now comes standard in the SEL trim and is available in the SE. In addition, the Limited now comes standard with a 10-way power passenger seat. As a result Ford no longer offers it with the fold-flat front passenger seat. The Limited also gets a new keyless entry pad and updated door handles. Beyond the new additions, the entry-level SE trim comes equipped with a few unexpected amenities for an entry-level vehicle, including reclining 60/40-split fold-flat rear seats, as well as configurable top speed and maximum radio volume control via Ford's MyKey system. Reclining front bucket seats, a tilt/telescopic steering wheel, cruise control, cloth upholstery, air conditioning, 8 cupholders and full power accessories are among the other standard features for the SE. Drivers can access the MyKey system using a 4.2-inch LCD display located in the instrument cluster. A 6-speaker AM/FM audio system with a CD/MP3 player and audio input jack are also included on the standard equipment list. Owners can add optional Sirius satellite radio, as well as the SYNC system. The SEL adds a 6-way power-adjustable driver's seat, dual-zone air conditioning, unique cloth-trimmed seats, a leather-wrapped steering wheel with audio and cruise controls, and an auto-dimming rear-view mirror. The audio system comes standard with Sirius satellite radio, and an EasyFold second-row seatback release and a rear cargo management system add to the cabin's versatility. The SYNC system comes standard, and owners can add the optional MyFord Touch system, which includes an upgraded, customizable 8-inch touchscreen, as well as dual 4.2-inch cluster screens and advanced voice-recognition technology, expanding the system's voice capabilities. Ford also offers the SYNC system with an available rear-view camera. At the Limited level, Ford includes leather-trimmed seats with heated, 10-way power-adjustable front seats, as well as driver's seat memory, ambient lighting and Ford's SYNC and MyFord Touch systems with a rear-view camera. Options for the Limited include adaptive cruise control, push-button start, a power liftgate and a voice-activated navigation system with SiriusXM Traffic and SiriusXM Travel Link. The Sport trim receives a number of unique interior features, including aluminum pedals and Charcoal Black leather-trimmed seats with metallic inserts and contrast stitching. In addition, the Sport gets a 6-way power-adjustable fold-flat front passenger seat instead of the 10-way power-adjustable passenger seat. It does retain the 10-way power-adjustable driver's seat, as well heated front seats with memory, dual-zone climate control, leather-wrapped steering wheel, ambient lighting, the SYNC/MyTouch systems with a rear-view camera and a 390-watt, 12-speaker Sony audio system with HD radio and SiriusXM satellite radio. While some competitive vehicles, such as the Chevy Traverse, offer more cargo space, the Edge still delivers an acceptable 32.2 cubic feet of space with the rear seats up and 68.9 cubic feet with the rear seats folded flat. The 2012 Edge was named a Top Safety Pick by the IIHS, due to its overall rating of Good, the top score available. Specifically, the IIHS awarded the Edge a Good rating in all categories of crash testing, including frontal, side-impact and rollover crashes. The NHTSA gave the Edge 4 out of 5 stars overall, which breaks down to 5 stars for side crashes, 4 stars for rollovers and 3 stars for front crashes. Standard safety features for the 2012 Edge include Ford's AdvanceTrac traction control system with Roll Stability Control. Dual front side-mounted airbags and front and rear head curtain airbags also come standard on all Edge trims, along with child seat anchors, child-proof rear door locks and a post-collision safety system. Over the past year, the Ford Edge has received mixed reviews from owners. Some describe their Edges as solid, comfortable and even flawless vehicles. In addition, a number of owners report that they're getting better gas mileage out of their vehicles than they expected. Presumably this is due to the EcoBoost engine. These owners say their Edges deliver smooth acceleration as well as a good ride and precise handling. Taller drivers say they have plenty of room inside, and overall owners like the cabin's build quality and spaciousness. On the other hand, an almost equal number of owners report frequent problems with their Edges, requiring numerous return trips to the dealer. Specifically, these owners have noted problems with the turbocharged EcoBoost engine, the SYNC/MyTouch/navigation systems and overall build quality. In addition, some owners note that the V6 engines, and in particular the Sport's V6, can eat up a lot of gas. Prospective buyers should therefore carefully check any Edge vehicle they're considering and make sure they have a good warranty in place. 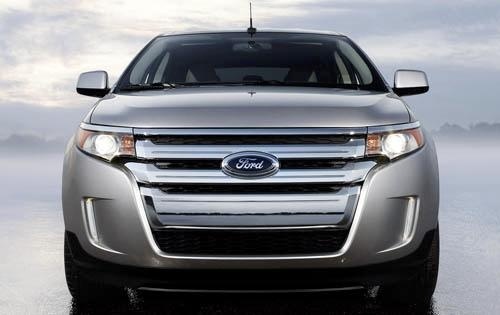 What's your take on the 2012 Ford Edge? DBennett Had the 2011 Edge for two years and loved. Bought another and the Sony Audiosystem is problematic. Works, doesn't work , sends error messages. You guys have to get this right. I spent over $30 K on this vehicle and this makes it rank with a 10 year old car. Someone with knowledge please respond. Blazak Have 2012 Ford Edge Bought new, radio reception is terrible. Took it in and is not any better. Does forfeit have a problem with the antenna in the window? Have you driven a 2012 Ford Edge? I was hit in the rear of my 2012 Ford Edge. Is the camera activated when hit from the rear?